Table View: Disable colour key? 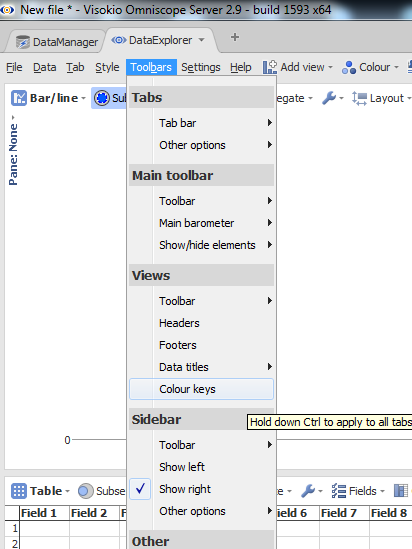 I am unable to disable the colour key in the Table View as attached in the snipping on both Visokio 2.8 & 2.9. Rajesh - In your screenshot, you have the view focussed on the Selected Data subset, which is empty if no rows are selected in other views. Because the subset in the view is empty (no rows selected), the colour key option is greyed out. What happens if you select some rows in another view such that the target view is populated with non-null rows?